Tal Zohar, Chairman of Israel’s Trading Arena Association, a lobby group representing the financial trading industry, spoke with Forex Magnates about the new Israeli regulations and their ramifications on the industry. In the beginning of the month the Finance Committee of the Knesset, the Israeli parliament, approved new regulations on financial margin trading brokers in the country, limiting leverage and requiring brokers to acquire a licence and more. 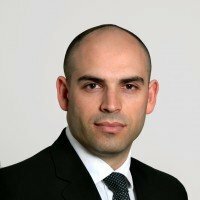 To get a sense of where the industry is headed, Forex Magnates sat down to talk with Tal Zohar, CEO of FXCM Israel and the Chairman of the Trading Arena Association in Israel, the lobby group representing FX and CFD brokers. We last talked with Mr. Zohar in May, when the industry was bracing for very tough regulations following the proposals brought up before the committee. A maximum leverage of only 25:1 on major pairs and as low as 10:1 and 5:1 on commodities such as oil and metals was feared. Since then a number of discussions took place in the parliament where the industry brought up its case and tried to influence the final decision. The main improvement in the regulation which the industry was able to secure is, according to Mr. Zohar, that margin FX and CFD gold-based trading is now considered only low-risk in accordance with the law and can be offered at 100:1 leverage. In addition to that, stock Market Indices of seventeen developed economies, as well as Government Bonds of Israel, U.S and countries with AA rating are considered medium-risk and CFDs based on them can carry maximum leverage of 40:1. All other trading instruments will automatically be considered high-risk and can only offer leverage of 20:1. The second major factor that will influence the industry that came out of the regulations is the new minimum capital requirements. 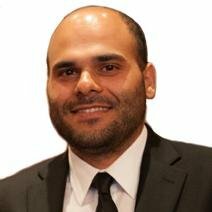 Mr. Zohar’s analysis shows that, despite the fact that the official minimum capital requirements were lowered in the final regulations to only $1.2 million to a market making broker and $500,000 for an ECN, as the formula calculation is based on trading volume, even a small or medium size broker can easily be required to deposit two to three times the minimum figures. The Israeli Trading Arena Association estimated that there are only around 5000 active traders in the country so this kind of capital is substantial for the local market. One issue that the industry was not able to resolve well with the regulator is marketing and advertising, according to Mr. Zohar. Brokers will have to display the new risk warning in-full included in every possible instance of marketing. This means that Facebook, Google and other online banner ads are completely impossible to use as the risk warning by itself is over fifty words and the text is limited. Additionally, every communication with a client, including the first time he is contacted must start with the broker notifying him that there is a conflict of interests and the broker profits from his losses, this is a very aggressive risk warning policy.